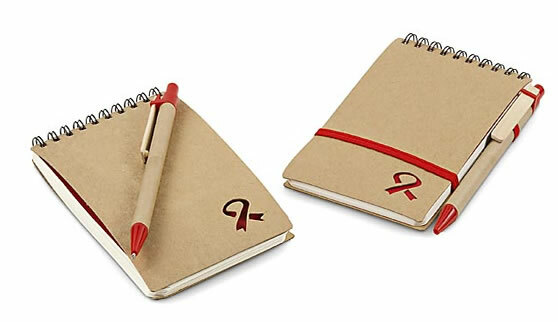 Description: This is a fantastic World Aids Day eco friendly notebook and pen. We supply these notebooks and other great aids day promotional products in South Africa. The Topsy Foundation will receive R1.00 from the sale of each of these notebooks. These mini notepads and pens are very handy little promotional item suitable for all people.